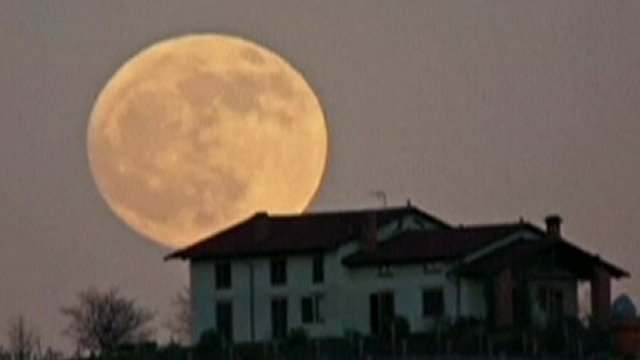 'Supermoon' lights up world skies Jump to media player Stargazers have been taking images of the spectacular ''supermoon'' overnight, where the moon appears bigger and brighter than usual because of its proximity to the earth. 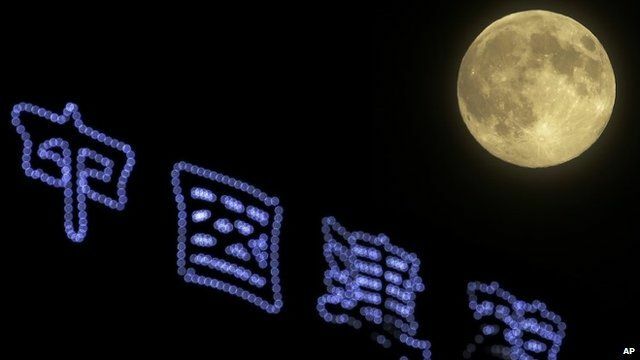 'Supermoon' appears in the night sky Jump to media player A "supermoon" has graced the skies, appearing bigger and brighter than usual, as it comes closer to the Earth - and is likely to bring higher tides. Stargazers have been taking images of the spectacular ''supermoon'' overnight. The phenomenon means the Moon - which is classified as a ''perigee moon'' by astronomers - appears bigger and brighter than usual because of its proximity to the earth.